Have you had your carpets professionally cleaned lately? Getting your carpets professionally cleaned at least twice a year not only helps extended the life of your carpets, but it also can help improve your and your families health. Yes, I did just say your health. Carpets hold a lot of unseen allergens that vacuuming alone can’t get up. Your shoes, kids, and pets are constantly bringing new things into your home and burring them deep into your carpet. According to the American Lung Association, if members of your household suffer from conditions that can affect their breathing, such as snoring or asthma, it’s especially crucial that you vacuum your carpets at least three times a week. If you still have your doubts maybe you’ll reconsider after reading a little more about some of the benefits. Maids of Honor offers very competitive rates for our carpet cleaning services. We have top of the line professional cleaning equipment, spot removers (including pet stain remover with natural enzymes), and carpet cleaner, and as always friendly service. Call us today at 881-4555 to get your free estimate. 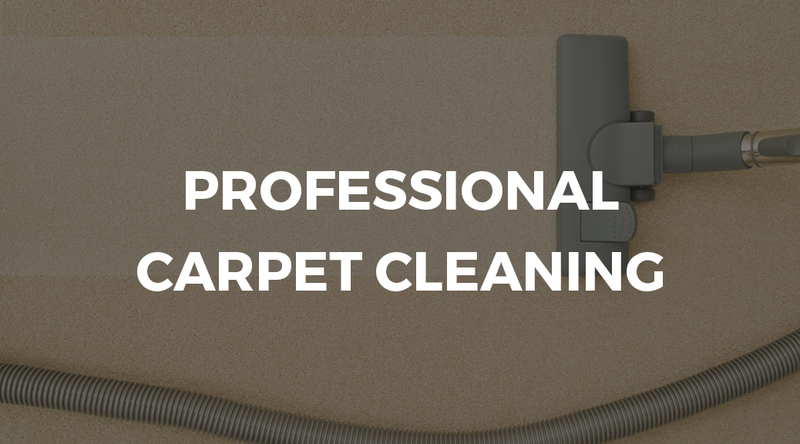 Let us help you receive some of the many benefits of a professional carpet cleaning. Reaching those hard-to-clean places in your home will be a lot easier with three simple cleaning tricks. From wiping up dried food on a microwave to cleaning a coffee grinder to ensuring your lamp shades don’t collect dust, you’ll find these simple solutions a great way to make life easier and your home cleaner! When you find you have dried food in your microwave, simply dampen a couple paper towels and place them inside your microwave. Turn the microwave on high for a few seconds and you’ll discover you can easily wipe up the food once the steam from the paper towel softens the build-up. You can also wet a paper towel with a splash of vinegar and hot water and quickly wipe it over the microwave to transform into a sparkling clean. A can of compressed air is a great way to clean a computer keyboard as most people know; but it also makes an ideal cleaning treatment for dusty lamp shades and window blinds. Be sure to keep a can of compressed air in your cleaning supplies bucket for quick treatments on dusty areas that are hard to clean. Ever get tired of trying to wipe out the grounds from your coffee grinder? To transform this hard-to-clean item, simply toss in a teaspoon of dry rice and give it a grind. The rice will loosen the coffee grounds and you’ll be able to shake out the excess rice and grounds for a fresh and clean coffee grinder! Baking soda works as a remarkable cleaning and odor-reducing agent. 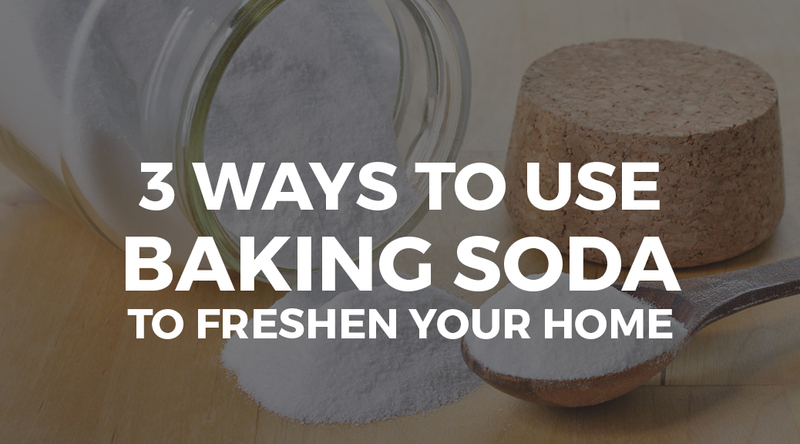 Take a quick tour with how baking soda can be used around your home to keep it smelling better and looking fantastic! Use baking soda in trash cans. Trash cans are infamous for containing unwanted odors. From your teen’s bedroom trash can to kitchen trash cans that contain discarded food to the bathroom bin, just sprinkle in a couple tablespoons of baking soda into the new trash sack each time you replace your trash bag. The baking soda will absorb the odors and keep them from penetrating the air throughout your home. Sprinkle two tablespoons of baking soda into a small bin of hot water and use a cleaning sponge to wipe down your bathroom sink. The baking soda and hot water combination will help cut through odors that sometimes build up in the bathroom area and you can also pour some of this mixture into the toilet to freshen it up as well. Use hot water and baking soda to give your stove top a brand new look. Dried foods and grease easily stick to stove tops, making it difficult to remove before the next time you cook. To take care of this problem, all you do is spray hot water over your stove top and then sprinkle baking soda right from the box over the range. Allow the mixture to set for thirty minutes and then wipe clean with a damp cloth or sponge. The same trick can also be applied to casserole baking dishes that have collected build up. When it comes time for a deep cleaning job in your home, it can be overwhelming if you have several junk drawers or cabinets where miscellaneous items are tossed in to be out of sight and out of mind. If you’re like many people, you might find that junk drawer storage can easily get out of hand and soon you have problems finding items when you need them. 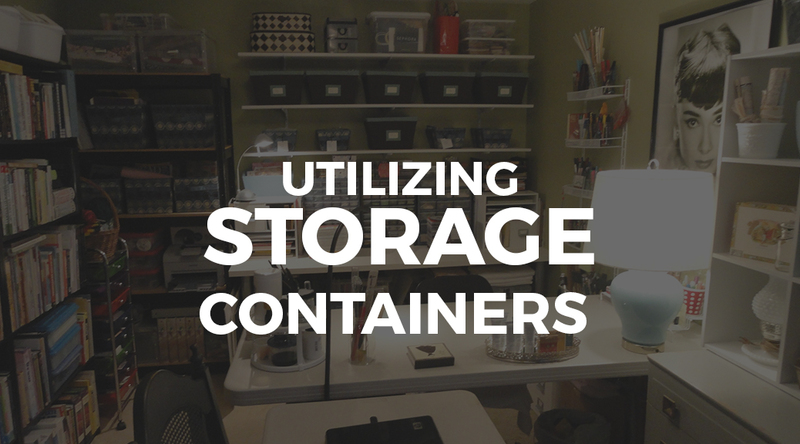 This can also lead to the drawers overflowing with random items such as batteries, pens, small hardware items and other miscellaneous household objects. Inexpensive clear storage bins are available in hundreds of different sizes and can be used to efficiently store random household goods. Using clear plastic tackle boxes is a great way to store batteries and hardware items such as nails, screws and washers. Simply find the size bin you need, use a paint swatch as your label on the outside of your bin and then organize your bins in a laundry closet or utility room. Suggested items to organize in bins include pens, highlighters, sewing items, flashlights, repair kits, stamps, computer parts and accessories and smaller items such as safety pins and thumb tacks. Once you get your junk drawers and cabinets organized, you’ll find it much easier to locate items when you need them and to breeze through deep cleaning jobs with more efficiency. If you find you are low on time and could benefit from professional house cleaning services, Maids of Honor is happy to provide you with a quick and affordable cleaning quote. We serve Springfield, MO and the surrounding areas by providing professional residential and commercial cleaning services. Organizing your shower accessories may not be on the list of your highest priorities, but taking a few minutes to de-clutter this space can make cleaning your shower and bathtub area a lot easier! 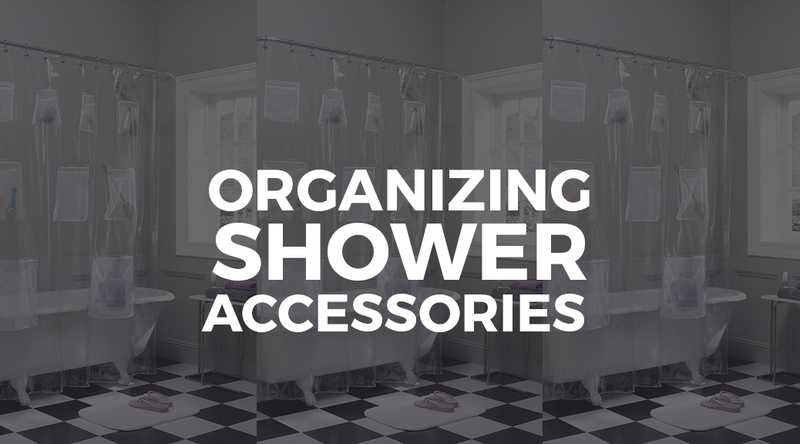 You might be surprised at how easy it can be to instantly organize your shower accessories. These accessories may include extra soaps, shampoos, foot scrubbers and body washes. Following one simple tip, you can store them where they are not in your way during cleaning but they still are easily accessible when needed. Specialty home stores and bathroom furnishing stores frequently carry shower curtains that contain built-in pockets. These pockets make the perfect spaces to place your often-used shower items and they remain in easy-to-reach places when they are needed. From conditioners to body sponges to sugar scrubs and hair products, storing these items in shower curtain pockets makes it easier when you are ready to clean your bathtub and shower area. You’ll find you have fewer items to move during cleaning time and this makes bathroom cleaning much less of a hassle. If you have girls in the house, it can be difficult to keep bathroom cabinets and counter spaces free from the clutter of personal beauty items. Organizing bathroom beauty accessories, such as makeup, hair products and lotions, can be accomplished by using a simple door hanging device. Plastic shoe hangers that attach to the back of a door make perfect organizing bins for beauty products in the bathroom. When you purchase this item, be sure you select an organizer that has clear plastic compartments so you can easily locate the beauty and hair items you store. To get started, simply hang a plastic shoe organizer on the back of your bathroom door and then use labels to label each compartment. Suggested compartments that you label might include the following: Eye shadow, foundation, face powder, lipstick and glosses, rouge, mascara and eyeliners, ponytail holders, headbands, lotions, hairsprays, tweezers and nail clippers, fingernail polishes, and makeup removers. Be sure to place the items you use on a daily basis in the most conveniently-reached compartments to save time and to make your morning routine a little smoother. Using this simple bathroom organizing suggestion can also help to make cleaning your bathroom much easier as there will be fewer things on the counters to move during cleaning. If your bathroom or other areas of your home could use a deep cleaning, give Maids of Honor a call for your house cleaning needs and we’ll be happy to provide you with a fast and affordable quote. Burt Reynolds was once quoted saying, “Marriage is the most expensive way for the average man to get his laundry done.” Can you relate to Burt in the sense that laundry may not be your favorite chore to do? We know we certainly can! 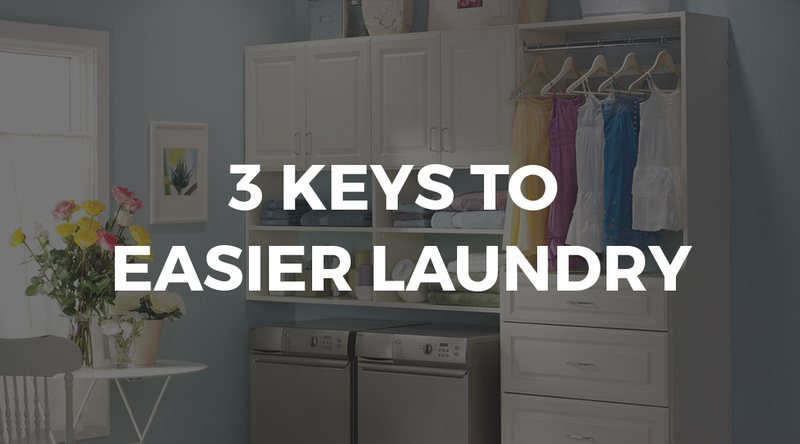 However, with a few simple tips to make laundry washing more effective and easier, it might not be such a grudging chore after all. Tip One: What about those times when you are waiting for the damp clothes to hurry and finish drying in the dryer? You need to leave the house quickly and your dress slacks or favorite pair of jeans are still damp. Can you speed up this process? You sure can! Simply toss in a clean bath towel (the thicker the better) to speed up the drying process. The towel absorbs extra moisture and helps your clothes to dry more quickly. And, you can fold up the towel and put it right back in the towel cabinet when you’re done! Tip Two: If you find that towels, hoodies and fleece robes tend to get little fuzz balls on them, put a piece of nylon net in with these items when you wash and dry them. This will help to prevent fuzz balls from building up on some of your favorite items. Tip Three: Okay, this is for all you coffee and tea drinkers out there. Have you ever spilled coffee or tea on your clothes while driving, or while sitting around your home or office? Coffee spills, in particular, is a common laundry problem. Solve this problem by keeping a small bottle of club soda in your home, at your office, and in your car. So, if you have a coffee or tea spill, simply dab at it gently with warm water and then use club soda to blot at it sparingly, and then repeat the process. This simple action lifts the majority of coffee and tea spills, and also works great for soda stains. Getting to it quickly is key to keep it from setting in. 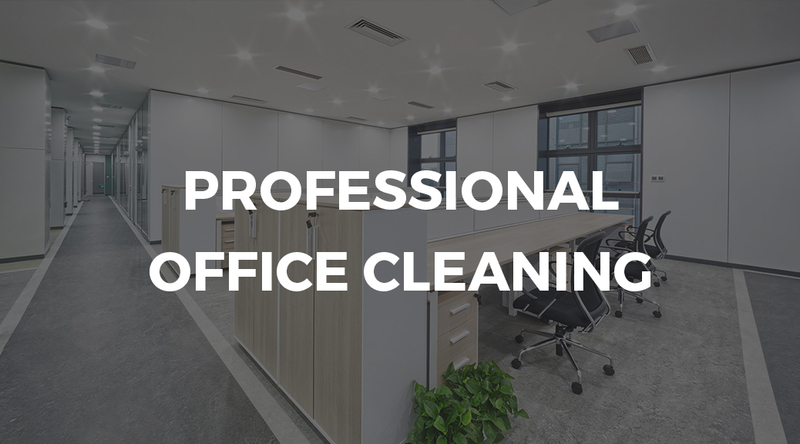 Do You Know The Benefits of Professional Office Cleaning? Have you ever heard the saying that it helps to have a fresh pair of eyes evaluate a situation? This commonly applies to commercial cleaning when it comes to outsourcing office janitorial services. Many companies understandably try to control costs by assigning employees certain office cleaning jobs. While this sometimes is effective, there is a consistent and enormous benefit to hiring a professional cleaning company for your business cleaning needs. While management is busy running an office, it is possible for business leaders to miss out on key details that are pertinent to the safety and efficiency of a clean working environment. This happens regularly because management teams are busy ensuring the operations of an office runs smoothly and effectively. However, small details like computer cords being left out, disorderly bathrooms, hard floors becoming slippery with grime, and growth of dust that affects office electronics can be overlooked. If you’re finding it difficult to maintain an office that operates effortlessly and remains exceptionally clean, give us a call at Maids of Honor (417-881-4555) and let us ease this hassle for you. We ensure a safe work environment for your workers and ours during our services, and we provide a range of services that include but are not limited to: floor cleaning services, bathroom cleaning, waste basket emptying, contributing to organization, interior hard surfaces, grout cleaning, and cleaning services tailored to meet your specific office needs. If your office could use a professional cleaning touch, we’re happy to connect with you for a cleaning quote and to discuss your unique janitorial needs. Contact us today and we’ll have your office looking amazing in no time! 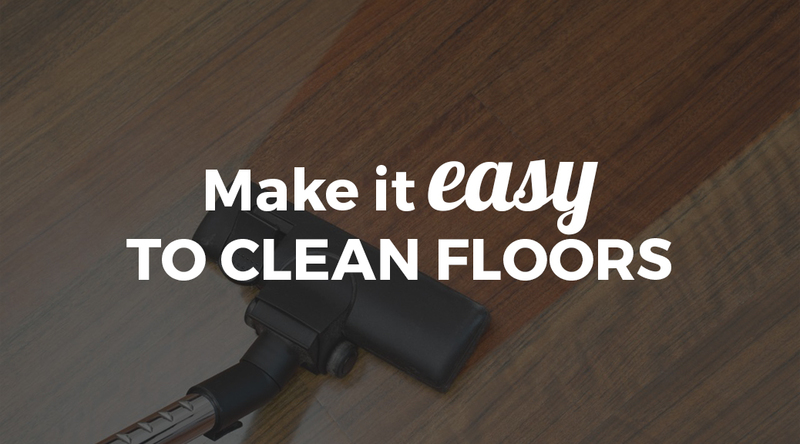 If you’re like many people, you probably find it a pain to keep your floors clean. From hardwood floors to carpet and tile, it can seem a constant hassle to maintain pristine floors. This is especially true if you have pets or children. Who wants to spend all their time vacuuming, mopping and picking up clutter from floors? There’s more important things to do in life! Yet, few of us can deny that having a sparkling floor is something that makes us happy and satisfied, knowing that our home looks good for our family, and for any random guests who may swing by unannounced. Are you ready for this? You won’t believe how one simple tip can make a big difference in the appearance and cleanliness of your floor! Use floor mats at each entry and in key areas of the house, such as high-usage kitchen areas. Floor mats absorb a large portion of soil, dirt and grime when they are placed at the entries of your home. This means fewer amounts of dirt being tracked in and less floor cleaning to do later. In fact, placing floor mats at the entry areas of your home can also help to protect your floors. Sand, grit, tiny rocks and other items of debris can attach to shoes and scrape and damage hardwood floors. Grime and stains that attach to shoes can also stain carpets. While it may seem like such a simple thing, using floor mats in primary areas of your home can help to make life a little easier and your floors much cleaner. Placing floor mats in kitchens also helps to absorb grease from cooking, tiny spills and random food particles that may be tracked around the home, once again damaging floors and detracting from their appearance. One fun piece of news is the fact that floor mats are available in trendy and fashionable styles and shapes. They can add to the aesthetic appeal of your home by bringing in extra color and design while protecting your floors at the same time! One of the obstacles that prevents cleaning from being a quick and efficient job is too many items to clean around while you’re vacuuming and dusting. Many of us have experienced the “almost a hoarder” stage where we hang on to things that we really do not use often, nor particularly love that much. From old kitchen rugs to knick knacks you’ve had since college, go through each room of your home and do a fresh evaluation of the items you have lying around. Upon a closer inspection, you may find that you’ve held onto some old books you no longer care about, or some souvenirs that really aren’t as important as they once were. 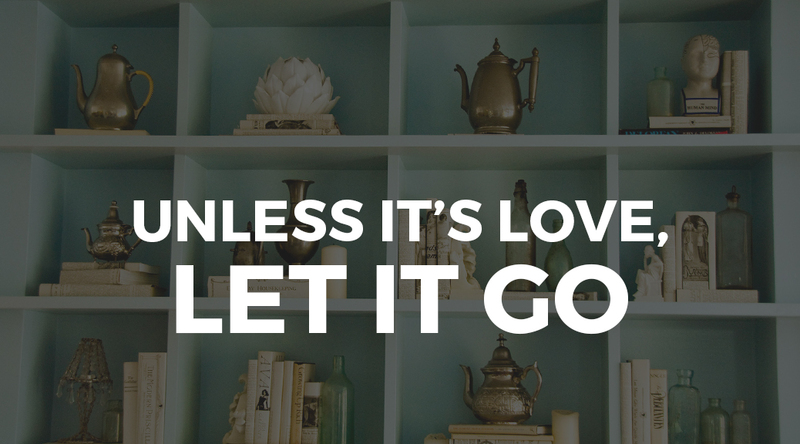 As a rule of thumb, remember this simple tip: If you don’t love it, don’t hold onto it. Freeing up your home by loosening it of unwanted and unnecessary items will make daily cleaning go smoother and you’ll also find you’ve made special room for the things you really do cherish and want to display with special attention. Using new or restored cabinets with glass doors, you can easily display your treasured items around the home in an effortless manner. Displaying your favorite mementos, picture frames and collectibles within the confines of glass-covered cabinets reduces the amount of dusting you have to do and also allows you to display them with an attractive and neat aesthetic appeal. And remember, once you have reduced any clutter in your home, if you want someone to come in and deep clean to give your home a fresh new look and scent, we’re pleased to assist you by providing you with expert residential cleaning services. 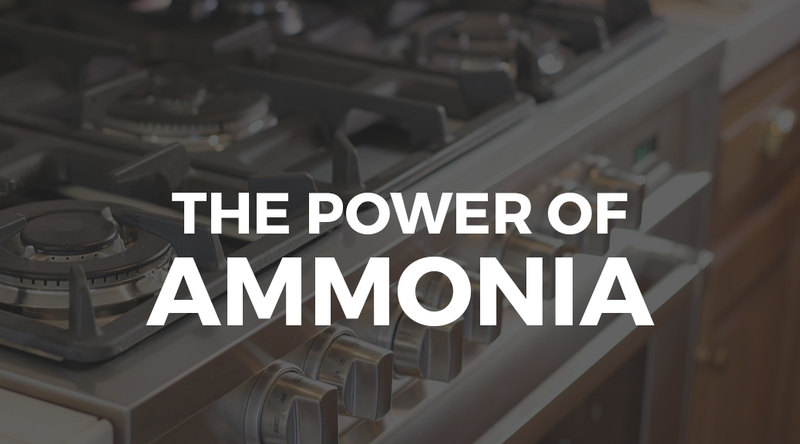 Ammonia is a simple gas that is colorless and dissolves easily when mixed with water. While the smell of ammonia is quite strong and it should be used as a concentrated product in most situations, its ability to clean hard-to-scrub stove tops is nearly unmatched by other cleaning items. If you find that your stove is in need of a transformation due to grease build-up and overall usage, we recommend the following simple tips to give your stove just the cleaning makeover it needs. 1.) If your stove top has removable burners, remove the burners and place them in a plastic container that has a lid available to fit it. Mix in 1 cup of ammonia and 4 cups of water and then seal the lid on the container. This job is typically done best in the evening before you go to bed or in the morning before you leave the house for the day. Allow the burners to sit in the sealed solution for 4-6 hours or longer. 2.) Lightly spray your stove top with a water mist and then sprinkle baking soda over the stove top. Allow this to sit for a minimum of 30 minutes and then wipe clean with a damp cloth. 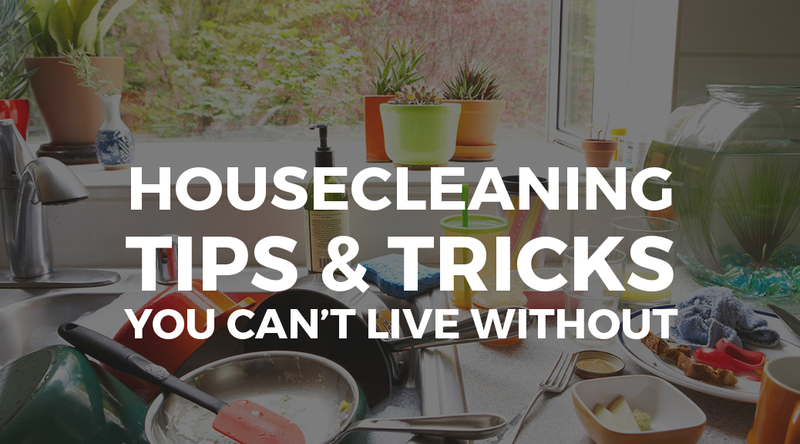 You’ll be surprised at how easily hard-to-clean cooking grime lifts right up! 3.) Once your burners have rested in the ammonia and water solution sealed in a plastic container, lift the lid and gently swish the burners in the solution and wipe them down with a wet cloth. Following this action, rinse the burners under the kitchen sink and towel dry or allow to air dry. You’ll find you have gleaming burners that look brand new!